It’s been nearly a year since Empire in Flames was launched on May the 4th, (be with you)! 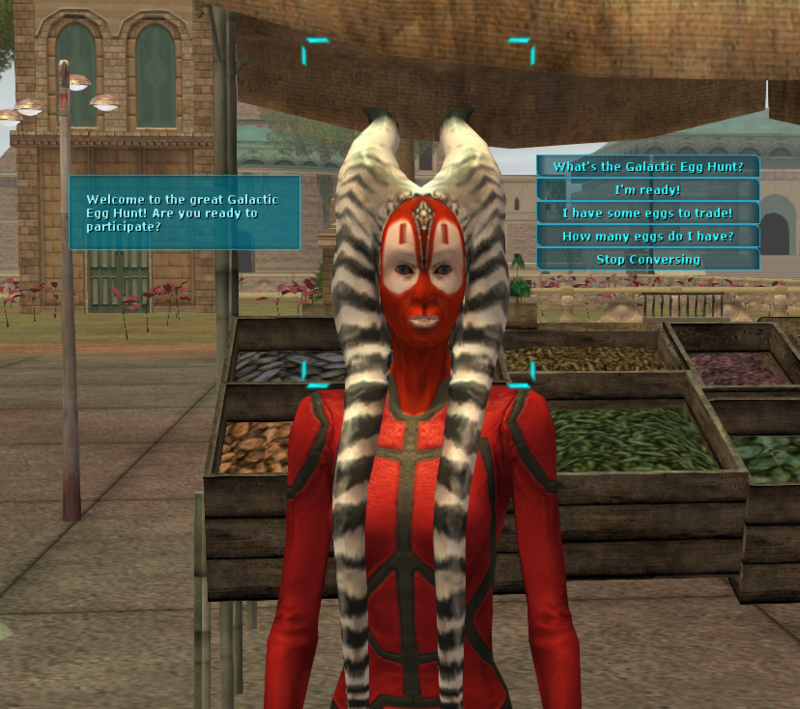 I asked the staff and contributors of EiF to share a memory from SWG with me. To launch our Anniversary Week of Events! (AWE!) we are hosting a ball based upon my memory! There are a lot of events planned all over the galaxy, so pay attention to next Friday’s Feature, the Holonews Terminals, and the Discord channels! Whoa… when I got there, the server was soooooo lagged from the hundreds of people in attendance. I was in awe walking around and seeing the “famous” people from the Pilot forums. One in particular struck up a conversation with me, but the scroll from spatial chat was extreme. We formed a group and chatted ICly for the rest of the evening. The next day on the Pilot forums I saw a lot of discussion about Leaph and the mysterious blue Twi’lek who stood around all night gazing into each other’s eyes. Suddenly, I’d gone from a nobody to a novelty. That single event changed my life, ICly and OOCly. It lead me to meeting Halyn, impersonating Abi in an intense RP, getting to know Anishor, and eventually Kelta! Now all 10 or so years later, it’s led me to EiF! The thing that kept me in SWG after the NGE. I was lucky enough to play all versions of the Game, I also would make new characters on different servers to try out different things. This was true with the CU. I made a character on Radiant and in the NGE I made a toon on Naritus, Wefi. I wasn’t too keen on the forums at the time, so I had little knowledge of the NGE. When I came back in December, I eagerly made Wefi, my Jedi. I met couple of players, even had a small guild at one point. But one time in Restuss’ new starport, before the city went boom, I ran into a player named Cye. He invited me into Dogs of War, a PvP guild based around family ideals. I was by far the youngest member. The guild took me in and showed me how to basically PvP in the new system. I came to the server as a nobody, but became one of the better known PvP’ers. I don’t recall the waypoint on Corellia where we held our city, but we spend most of our time in Restuss. We were often the driving force behind the late night PvP. We defended the GCW bases on Naboo, Corellia, and Talus. If there was PvP to be held, we were there. 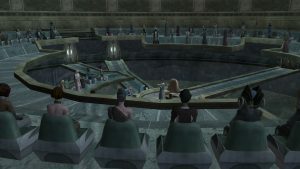 When I first started playing SWG, starting out on the Naritus server, I definitely thought the game was neat, but I was having trouble finding a niche of my own. I wasn’t sure what to do with my character, or where I was going in general. I was pretty clueless. Then one day, I was walking through Mos Eisley heading to the bank/bazaar terminals near the Cantina after running some missions. There in the middle of the street I saw a group of players in full stormtrooper armor, acting like Stormtroopers. This was my first introduction into roleplaying. For some reason, it had never occured to me people would really fully immerse themselves into characters in the game, let alone as stormtroopers. I didn’t even know it was possible to get the armor- which I had always loved as a Star Wars fan. I immediately started talking them up, asking them all sorts of questions. It wasn’t long after that they invited me to join their RP stormtrooper unit, helping me to level up, save money, and eventually buy my own set of stormtrooper armor to allow me to join in on the fun. This started seven years of adventures in stormtrooper roleplaying that would last my entire time in the game and introduce me to roleplaying as a whole, becoming the thing in Star Wars Galaxies that would give me the most joy and help me meet some amazing people. 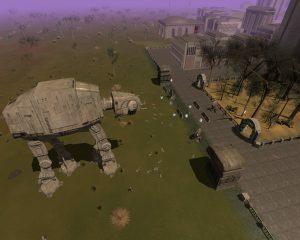 My earliest memory of Star Wars Galaxies was during the first week or so of live. There were hardly any player houses around because everyone was still figuring out what to do and how to do it, and working so hard on levelling up. I was working on Medic/Doc at the time and ran into a Mon Cal Architect and we got to chatting while I was healing him. I wanted a house super bad, and he just wanted XP to keep levelling, so we reached an agreement. I brought him all the resources to craft a house and he’d call it even. I spent a bunch of time hand sampling everything I needed to make a Small Corellian House, and we met up one afternoon and made the exchange. 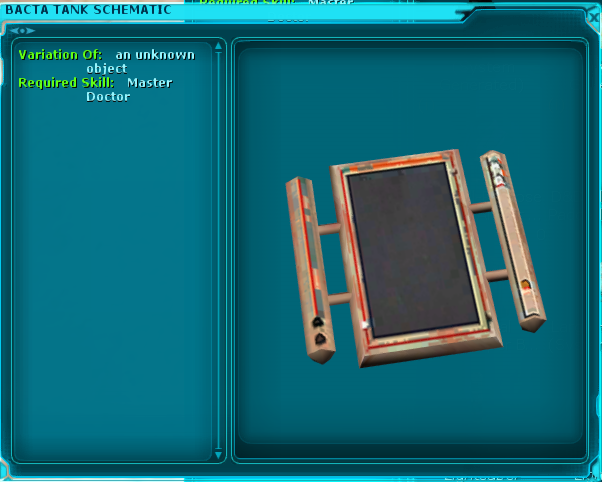 I gave him the resources, he did some crafting and I walked away with a Small Corellian House, Style 2. I had already picked out the perfect spot and started swimming west of Coronet, to an isolate island. It was bare of structures and I claimed it as my own, placing my house next to a tree on a small hill near the western beach of the island, and then logged out for the evening – satisfied with my new home in the game. When I logged in the next day, there was a guild hall almost immediately in the middle of the island behind my house, and I cussed and cursed those fools for taking *my* home. I was here first, and they weren’t going to run me off. A few days later I ran into someone coming to that guildhall, and I went to go give him a piece of my mind. We ended up chatting and found out that the guild was a bunch of friends from other Star Wars games, they were Rebel aligned and were totally happy to have me along for the ride, and so I joined RSPA thanks to a guy named Xtremegene. It was in this guild that I eventually went on to meet many of my online friends, including Anishor, Halyn, Sandarie and then Kelta. Without this key moment and this location I doubt that I would even be here working on EiF. When I started playing Live, Halyn already had his group of friends established and everyone he knew was a level 90. I was obviously grinding a new character by myself, so to keep me company, Halyn went and purchased me a pet. I clicked on this egg in my inventory; there was a cracking noise with green slime shooting into the air and my narglatch appeared in front of me. She was so adorable that I was instantly smitten and thus began my obsession with pets. I was determined to learn everything I could about my pet so that I could have those coveted green eyes. (And XP bonus!) I traveled to Moenia, Naboo, pulled her out, and her eyes went from blue to green! Naboo was her favorite planet and as I spent a lot of time there leveling, it became one of mine too. Zephyr Base on Rori is where the rest of all my memories originate. Halyn was running the flight academy Rara Avis from there when I joined in late NGE. Eventually he would start a guild named HAZE. It was there I met Sandarie, Blue, Anishor, and Abi, gunned at Saturday night PVP events, and began to roleplay. As a member of HAZE, I interacted with the majority of the pilot community and made many friends. The transient nature of the guild concept–join, become a better pilot, leave once you were trained–meant that a lot of my friends left to join other guilds. But the core group remained. I have many friends that I would not know; dozens of rp memories that never would have existed; and a relationship that might never have become a marriage if I hadn’t spent time at that base on Rori. For those reasons, Rori is my other favorite planet. I recall the first day I entered the Dark Enclave and they took PvP that seriously that they were having training sessions and sparring tournaments in the enclave to remain fresh and well practiced. They had a sort of room for newbies to PvP, and a sparring room for the pro’s. I remember stepping in and seeing a Dark Jedi Oppressor giving some advice or a lecture on how to maintain control of posture in a fight. My turn came to duel him, it was hard, but this was one of the ways I learned to fight and eventually rose to Templar III until I was teaching on my own. Coming out of Beta and going live with SWG was an amazing adventure. So many new players all trying to understand and have fun with the new MMO. My main character, Daxamatic, was experimenting with different professions, trying to find that right build. When the first Jedi was announced, it was pretty exciting among the players in our group. Really not knowing what triggered it, we all speculated as we keep playing. Wanting to build items and deeds for my guild, I switched over to something new, Architect, my sixth profession. Grinding away and taking breaks to travel to the POIs near my harvesters to keep it from being boring. 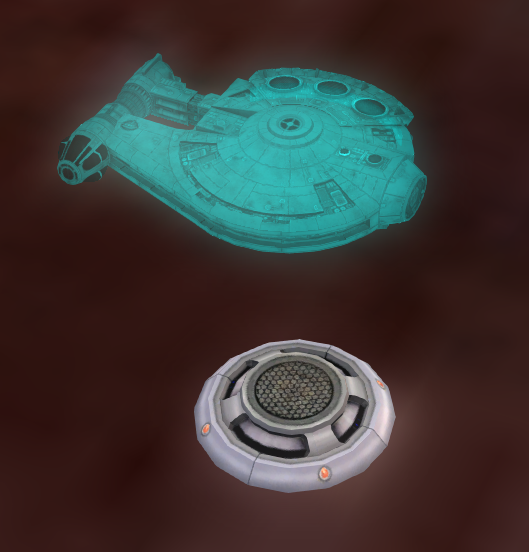 With the last round of resource gathering on Corellia, Daxamatic ground out last of the XP. Going into CNet I called out for training from a Master Architect. The shock of becoming glowy had me literally sitting at the keyboard. Realizing that I needed to do something next, I quickly read online what was thought we needed to do. Traveling with my new character as fast with no protection or skills, as fast I could, I arrived at the Jedi shrine south of Tryenna and at sunset, knelt and began my journey under, back then, the perma-death system which forced me into the wilderness and great adventures. Anchorhead, Tatooine, was where I started my journey. The game launched in June; I joined in October and, like many newbies, made my way to Tatooine to start my journey. Most of the first month was spent attempting to run missions and level and gain enough faction points to join the Rebel Alliance, while failing to be caught in the crossfire between Rebel and Imperial PvPers during the infamous base busting wars outside Anchorhead at that time. To this day, the character creation/login music takes me back to a thousand stories…stories that all began, in some way, at Anchorhead. Leave your memories here! From live or something from the past year with EiF. If you can, include a location! There will be a small commemorative gift for those who leave a memory. Friday Feature 3/30/2018: A look behind the scenes. Halyn: Kelta and I won’t be around from Thursday through Monday. It’s the Easter weekend and we want to take the kids to the farm. Sandi: *in a panic* So can you help me plan something for Sunday? Sandi: What would the Easter Eggs be? Abi: Storyteller containers outside of cities. Abi and Sandi go back and forth attempting to work out how to implement it. What can the community get, how many, how do we prevent people from exploiting? How do we make it fair for everyone? Abi works up a proposed list of rewards, over which Sandi drools. Halyn in the meantime continues to do his own thing, like putting in announcements when a new character is created and extending storyteller items to last for 48 hours. Abi: Wait, why are we doing an Easter egg hunt? We’re going to have April Fools stuff, iirc. Halyn: I don’t know what we’re going to have atm. Sandi heads to the airport. 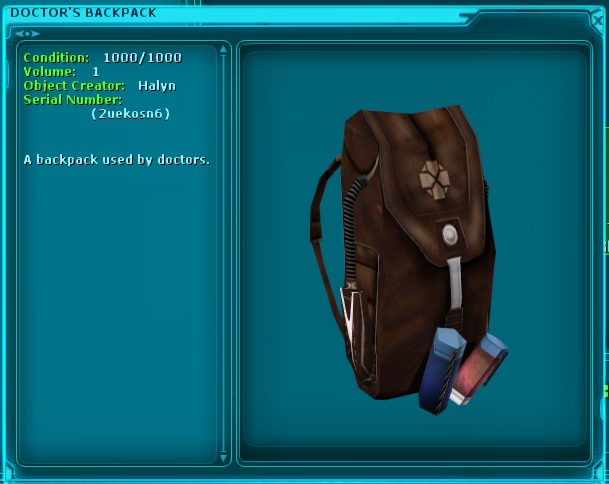 She reviews the conversations in the various Discords, notes the incredibly boring topics the staff has been talking about, which includes the backpacks she doesn’t care about in the least. As her eyes glaze over and she skims the text about the new housing, a few other things, she throws in that she wants a stuffed tauntaun, for which she is teased repeatedly. Sandi and Abi talk more about how to implement an Easter Egg Event, which she’s now calling the E3. Halyn keeps working on content, tossing up occasional screenshots. Sandi holds her breath, looking through the text on breaks and finds a screenshot of an NPC announcing the Great Galactic Egg Hunt! She notices it’s a bit like the Junk Dealers; you’ll be able to trade the found eggs for stuff. She literally squees loudly, hoping the people in the room next to hers at the hotel don’t call the Front Desk to complain. The Arcon Multinode Agricorp is sponsoring their first Easter Egg Hunt! The event will last 72 hours from when it launches. The representative for the Arcon Multinode Agricorp can be found in Pandath on Taanab, who will provide instructions on how to find the Easter Eggs. There are 102 Easter egg containers available, 6 in each of the targeted cities. You can hunt eggs on each of your characters. What would a Friday Feature be without a teaser of a few items which will be available? NOTE: this is the first time these items are being made available. They will all be available in the future with upcoming content. Rumors of a Galactic Civil War erupting are increasing. Stories are spreading of Imperial Moffs attempting to consolidate their power in the wake of the Emperor’s death. Mon Mothma is rallying the Rebels to form a New Republic in the wake of their success against the Empire. Planets all over the galaxy are preparing for war on their soil. Calls are being put forth for retired military to come back and lead the scattered troops. The NR looks to each planet’s citizens to join them and stabilize a New Republic. 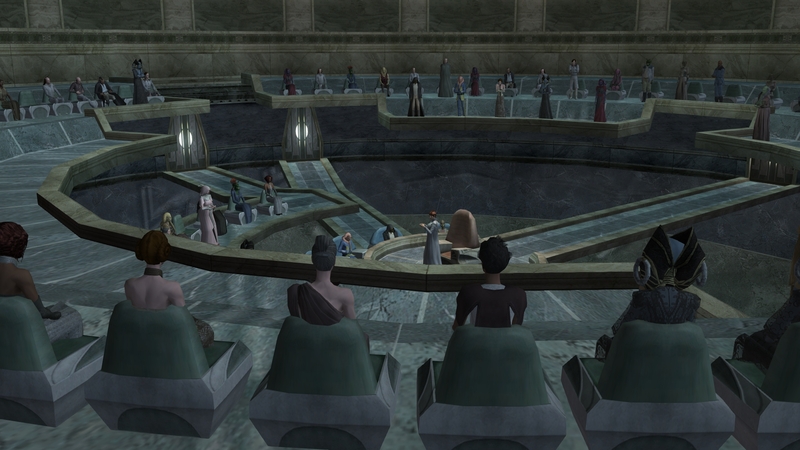 The Imperials expect citizens to demonstrate their loyalty and help maintain the Empire. Many in the EiF community have participated in two live tests of the GCW invasion system which greatly helped the devs and the players learn more about what is needed to improve when the entire GCW finally goes live! New and returning players continue to swell the population. Crafters are working hard to meet the demands of the growing community, as it prepares for the GCW. 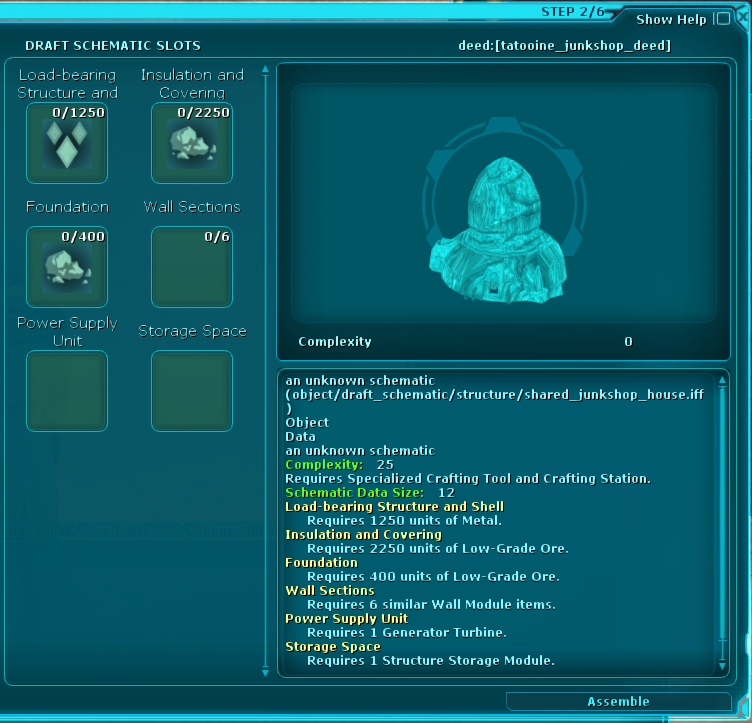 Part of players’ preparation is gaining enough faction to be able to participate in the exciting, original content exclusive to Empire in Flames. This Feature is one in a series to help players prepare. This week we are concentrating on gaining factional alignment. Player Cities whose Mayor has provided them. Having another player of the same faction delegate some of their faction points to you. Once you have your points, locate a recruiter. They will let you join the faction and you will gain the rank of private. There are links to locations below, but there will also be recruiters at the GCW Basecamps and in the defending faction’s city. To participate in a GCW invasion you will need to already be aligned with a faction. When you enter an active GCW invasion, you will automatically be made Special Forces.You will be vulnerable to enemy players, NPCs, and their equipment, such as turrets. Special thanks to Kelta for editing and Halyn for reviewing for accuracy! EiF New Year’s Eve – GCW EVENT! If you aren’t doing much on New Year’s Eve, come bring in the New Year with an Empire in Flames! Normally Sunday evenings at 9:00 pm EST is our weekly EiF RP Campaign installment. On 12/31/2017, a live test of the Galactic Civil War will take place on EiF’s live server with a planetary invasion! The planet is yet to be determined, but will likely be announced in the 12/29/2017 Friday Feature “Anatomy of an Invasion” which will provide a breakdown of how invasions work. What can you do to prepare? I thought you’d never ask! AND A support group to keep the defending faction from killing your base busters! If you are an Armorsmith, Weaponsmith, or Chef: get your vendors stocked! If you haven’t finished your template, or have been waiting for the GCW so you can PvP, wait no more! You have just over a week to prepare! If you are thinking, “Bleh, I don’t PvP…” Well neither do I, at least not very well, but I’m definitely going to plan to be in a walker pew, pewing! The EiF GCW is unique and original content. You have never experienced Star Wars Galaxies like this before. Empire in Flames turns six months old tomorrow! Since we launched EiF a Friday Feature has been put together nearly every week! (except one, oops.) The staff and community has found over the past months that we’ve referred to these posts over and over and over! So now you have an archive of them to easily reference for personal use or to direct a new player to the information!